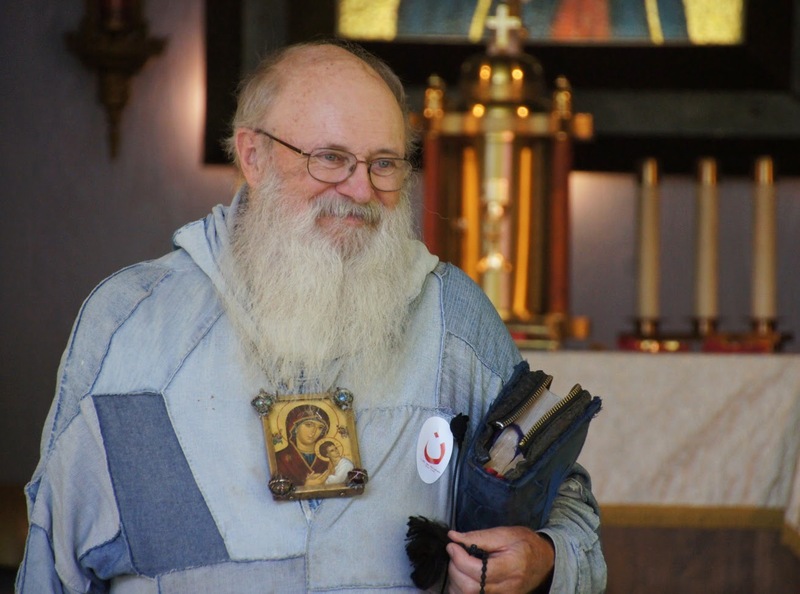 The special guest and speaker for this year’s annual pilgrimage at the Shrine of Our Lady of Mariapoch (across the street from our monastery) this past weekend was Pilgrim George, a gentle man with the rare vocation of pilgrim. Pilgrim George, originally from western Pennsylvania, received his calling as a life-long pilgrim at the end of a pilgrimage to Jerusalem as a young man. In the past 43 years, he has walked 41,000 miles through 43 countries. His presence, words and example helped the participants of this pilgrimage weekend to come to understand the freedom of trusting in God to provide for all that is necessary. 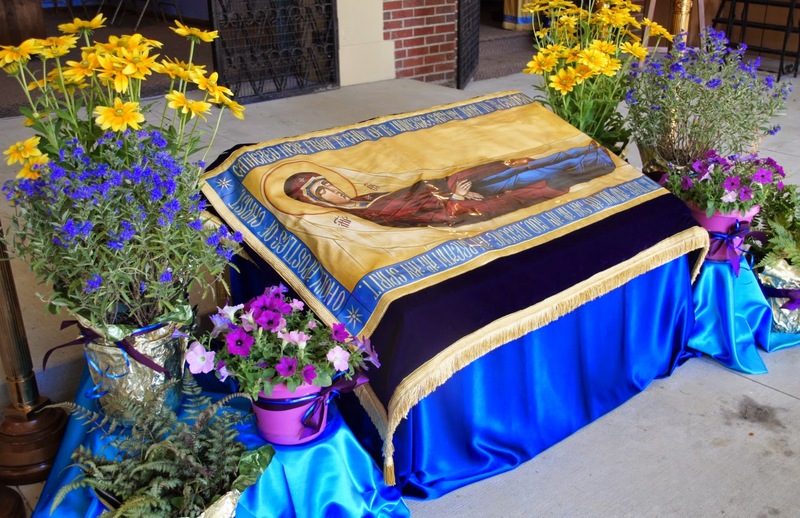 The pre-pilgrimage activities which our monastery led, allowed pilgrims to come early to celebrate the Feast of the Dormition and to help with setup for the weekend. This small but energetic group enjoyed celebrating the vigil service for the Feast of the Dormition on Thursday evening, August 14, which included vespers, matins and the burial procession for the Mother of God. Friday’s schedule included Divine Liturgy, volunteer work and free time, vespers, singing around the campfire with Pilgrim George, and compline. 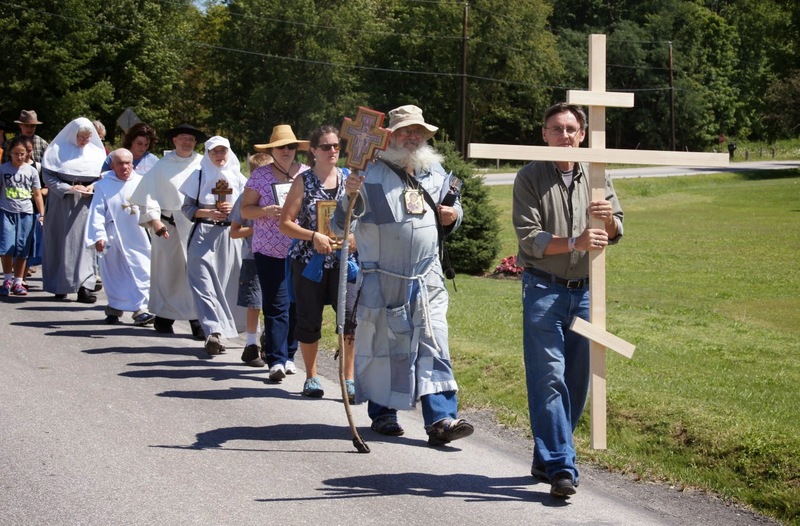 On Saturday, after matins and some additional setup work, the pilgrims were shuttled over to St. Edward Catholic Church in Parkman, Ohio, where others joined us to learn the meaning of pilgrimage and to experience this metaphor for the journey to heaven as they walked the 3.5-mile route to the shrine. 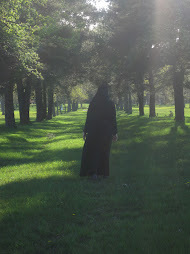 “This is a time for silence and prayer,” said Pilgrim George, and this reflective spirit truly permeated the hearts of the approximately fifty pilgrims as we spent our time walking in moments of silence or in singing hymns or the Jesus Prayer. “We will follow the cross, and no one is to go ahead of the cross, just like we cannot go ahead of Jesus in our life,” Pilgrim George said. Pilgrims took turns carrying the cross, and all arrived safely at the shrine, grateful to see the welcoming sight of their goal: this holy ground. After the walk, a young woman commented to us on the long-standing tradition of pilgrimage in Europe and how she felt that she entered into that experience as she walked to the shrine. The annual pilgrimage weekend officially began with the blessing of pilgrims on Saturday evening, followed by vespers. The evening continued with the Akathist to the Mother of God, a talk by Pilgrim George around the campfire, campfire snacks and compline. Sunday brought the largest number of pilgrims to the shrine. 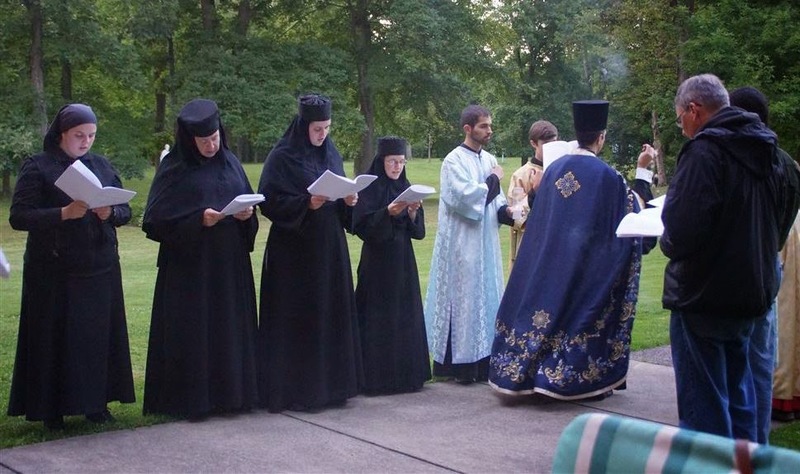 The day included matins, a talk by Pilgrim George, an anointing service and Marian hymns, and the Hierarchical Divine Liturgy, at which two men of the eparchy, Gene Senderak and Philip Dinsmore, were ordained to the minor orders. 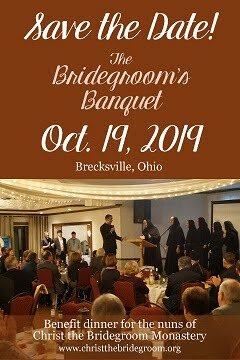 Of course, pilgrims also enjoyed delicious meals served at the cafeteria and a chance to spend time with friends and meet others from the Eparchy of Parma and beyond. The weather was beautiful! 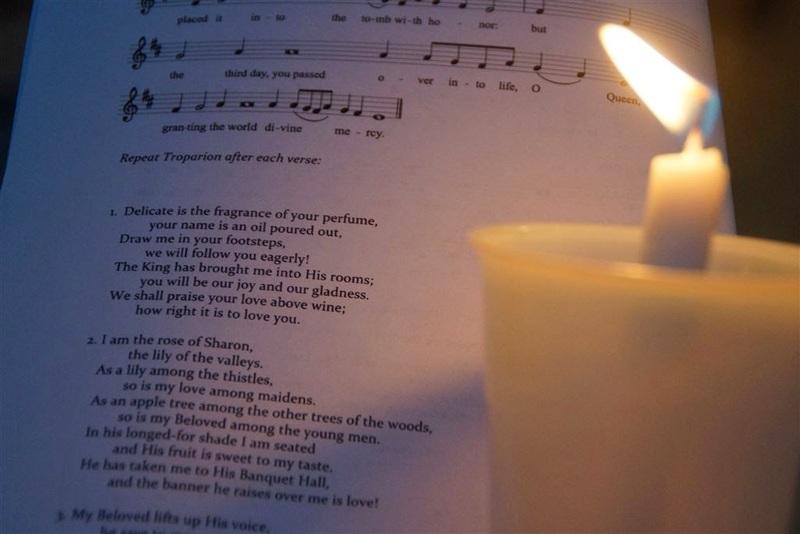 Sunday was also a day dedicated to prayer for the suffering Christians in the Middle East. Our theme, "Rejoice, O you who have born the Guide of the Lost," was especially appropriate, and Bishop John reflected on this in his homily. Particularly for those of us who spent the whole weekend at the shrine, it was an experience of learning to surrender to God, to spend time in silence with Him, to follow Him who guides us and provides for us, and to pray for those who have had to leave everything for the sake of following Christ. The Christians in the Middle East who have had to leave everything are clearly utterly dependent on God. But aren't we also? It is simply more difficult for us to see this truth. "A pilgrim signifies one who is free from over-attachments to people, places and things," said Pilgrim George. "If we remember that our goal is heaven, then we're not so devastated when we 'lose' the things that give us security here on earth. We thank all who made this experience of pilgrimage possible and all the pilgrims who enriched our experience of prayer and God's love! Enjoy more photos here! 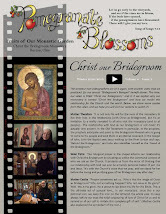 What a blessing it was to share in this wonderful Pilgrimage with you all! Many thanks for the extra sleeping bags which kept us warm during the cold (& wonderfully starry!) nights! :) Lord willing, we look forward to seeing you again soon at the Mount! God bless you all! 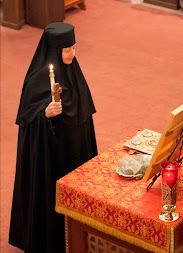 "Do not send me any more messengers..."
Ten days until the vigil of the Dormition!